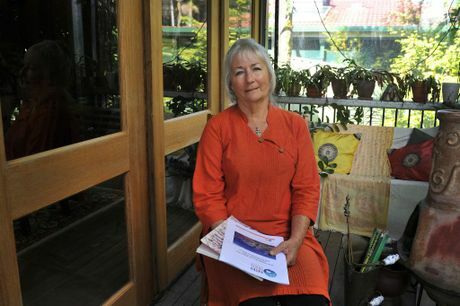 Dr Mariann Lloyd-Smith PhD (Law), Senior Advisor, NTN (National Toxics Network).Chemical regulation expert Dr Mariann Lloyd-Smith believes the unconventional gas industry poses a long-term threat to human and environmental health. Chemical regulation expert Dr Mariann Lloyd-Smith believes the unconventional gas industry poses a long-term threat to human and environmental health. Mireille Merlet-Shaw AN EXPERT in lobbying for the worldwide regulation of toxic chemicals, North Coast local Dr Mariann Lloyd-Smith has, in recent years, turned her attention to unconventional gas. Dr Lloyd-Smith is a senior policy adviser to IPEN, a global organisation aiming to eliminate persistent organic pollutants, or POPs, and other toxic nasties. Her team was closely involved in creation of the 2001 Stockholm Convention, which resulted in a worldwide ban on the “dirty dozen” of chemical groups. Tomorrow she flies to Europe for the Helsinki Chemical Forum – to debate the dangers of fracking chemicals – against lawyers from oil and gas giant Halliburton and representatives of the Europe and UK chemical industry. She then visits London to meet with several British MPs, some who are facing mass protests in their electorates against the growing UK shale gas industry. Dr Lloyd Smith’s 35 years’ experience in negotiating global treaties on chemical regulation means when she says something is dangerous, people usually listen. “We haven’t worked on an issue that we haven’t been proven right,” she said. She has now cited several concerns about unconventional gas, including the volume of emissions, the chemicals used in fracking, and the lack of testing produced water for radioactive elements such as thorium. “Some of the companies have been spraying produced water on roads as a dust suppressant. Thorium dried in dust is a terrible irritant to the lungs and can lead to lung cancer,” she said. In 2012 the UN issued a rare global environmental warning alert on unconventional gas, saying the industry may have unavoidable impacts on the environment and human health – some which would occur even if the technology was used correctly. “So what they were basically saying in this alert, is that you can’t regulate this industry into safety – whatever you do, you are going to have serious risks.